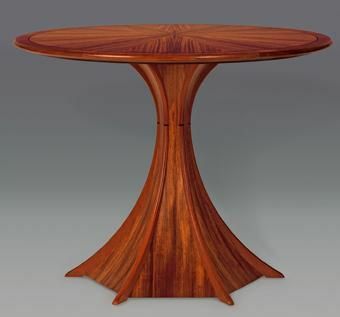 Intensely stunning hexagon base Koa table is a gorgeous addition to any room in any setting. Unrivaled beauty in this twenty-four-piece book matched Koa wood veneer top edged with solid Mahogany entitled "Family Tree". 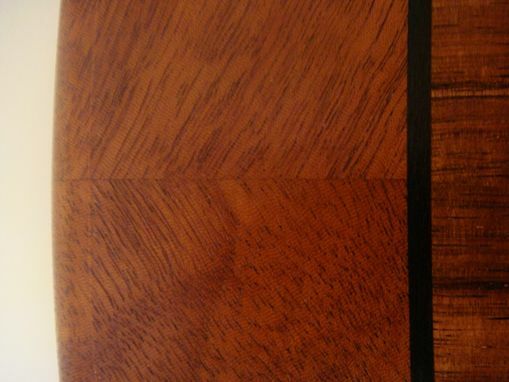 Dyed Costello inlay between the solid Mahogany edge and Koa veneer top. The top has single veneer with the same density veneer opposite the face to deter warping and or cupping. 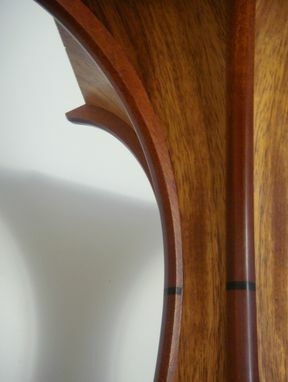 Vibrant hexagon pedestal sections are made of Acacia wood veneer separated by Mahogany with an Ebony accent. 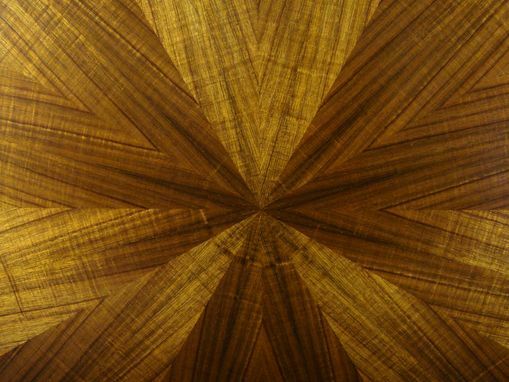 The veneers are cross-banded to create a two-ply skin, which strengthens the face veneer before application to the core. Finished with eco-friendly finish that repels water and is non-toxic.